We’ve been waiting for this day for a long time. 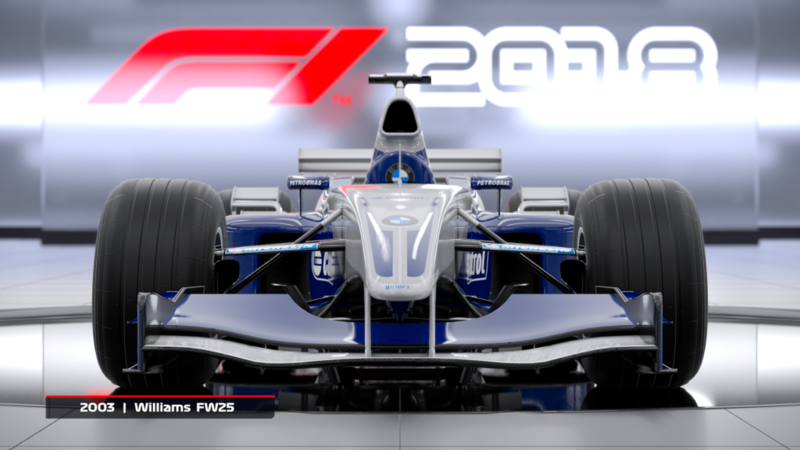 Today, we’ve released a brand new trailer for F1® 2018, the official videogame of the 2018 FIA FORMULA ONE WORLD CHAMPIONSHIP™, that reveals two stunning classic F1 cars that will feature in the new game*. You can take a look at our brand new trailer here, or you can head to our YouTube channel. These really need no introduction, but our brand new trailer showcases the championship winning 2009 Brawn BGP-001, as driven by F1 World Champion Jenson Button and his team mate, Rubens Barrichello, and the 2003 Williams FW25, of Juan Pablo Montoya and Ralf Schumacher. Both of these iconic cars are included in the ‘Headline Edition’ of F1 2018, which is available for pre-order now (links are at the bottom of the page), and will be available as DLC at a later date after launch – and, yes, we will be revealing more classic cars in the coming weeks! “The inclusion of classic cars in last year’s game was a huge hit with our players and fans of the sport so we wanted to build on that with the inclusion of more classics in F1 2018,” he told us. “The Brawn is without doubt the most requested classic car by our passionate F1 community, so we are delighted to be bringing it to the game. 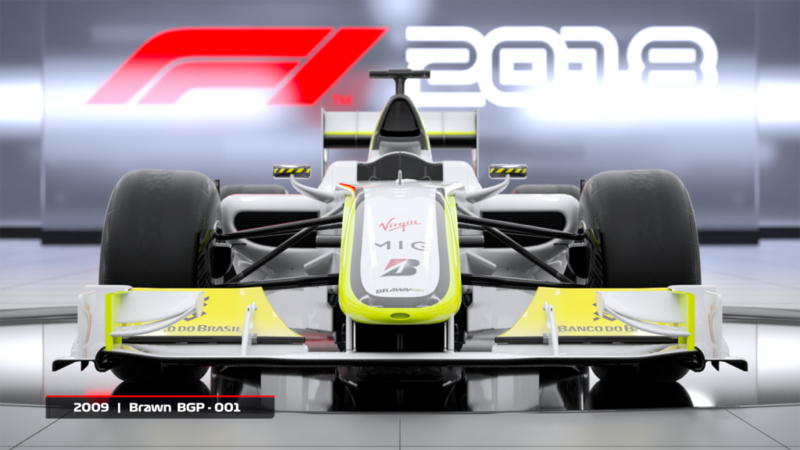 *If you who pre-order or purchase ‘Day One’ copies of F1 2018, you’ll have exclusive access to the iconic 2009 Brawn BGP-001 and the 2003 Williams FW25, as DLC content of the ‘F1 2018 Headline Edition.’ Alternatively, the two cars will be available to be purchased together at a later date. F1 2018 will release onto PlayStation®4 computer entertainment system, the Xbox One family of devices including the Xbox One X and Windows PC (DVD and via Steam) worldwide on Friday 24th August 2018. We will be revealing more F1 2018 news, including more classic cars, which have been selected from community feedback – very soon. 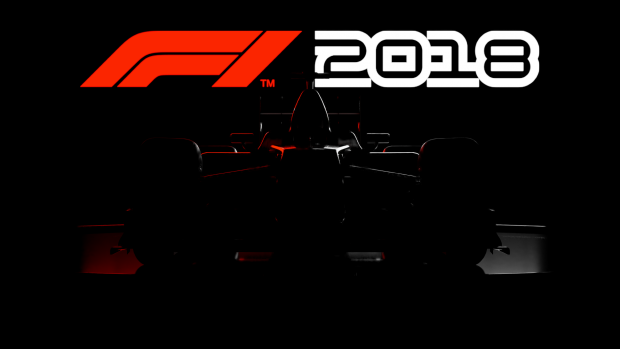 Make sure you keep it here on our blog, and follow our Twitter, Facebook and Instagram for all the latest F1 2018 headlines.